HandsOn San Diego – Volunteer Your Way! After months of worry and excitement, at midnight on March 13th, our new website went live. We checked our emails that morning expecting a flood of messages reporting glitches from the change. Surprisingly, there wasn’t a disaster waiting in our inbox and we were thrilled to start this new chapter for our organization. Our site and calendar are powered by HandsOn Connect. HandsOn Connect was created in partnership with Points of Light, the world’s largest organization dedicated to volunteer service, incorporating the network’s vast experience with volunteer management to bring nonprofits the most flexible solution available on Salesforce. The new design of our site was a result of an upgrade that allowed our platform to be faster and more mobile-friendly for our volunteers. A big part of our mission is making volunteering more accessible to San Diegans so we were very excited about the site’s increased mobility. Making a difference in someone’s life can be accomplished in many ways, including kindness extended from volunteers to those who need compassion the most. One way to improve the community as well as assist individuals on a personal level is to become a Team Leader. In this position, you are able to coordinate between volunteers and the event heads so as to see the impact of each project across various boundaries. For Team Leader Karen Anderson, the position is “a great opportunity to take on a leadership role as a volunteer”, further expanding her positive experiences with HandsOn San Diego. Karen finds it “fun to see volunteers return to projects and to meet new volunteers each time”, emphasizing the capacity for Team Leaders to make long lasting connections with the volunteers they lead each project. Operating as a Team Leader also allows for you as a volunteer to broaden your horizons. Joan Sadorf, a Team Leader who has been with the organization since the beginning, has found that, when volunteering with HandsOn San Diego, “you can do whatever you feel comfortable with or try out something different to see if you like it”. The diversity of projects allows for experimentation in the type of volunteering that work best for you, and the direction you take can often times surprise you. By stepping into the leadership role of Team Leader, Joan has “met many interesting, incredible people who are all helping for different reasons but mostly because it feels right”. 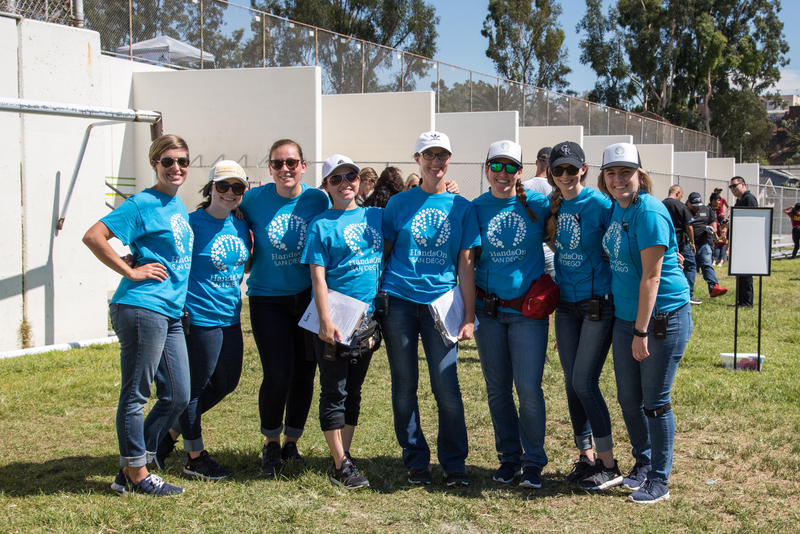 Volunteering can bring together diverse people who work for the greater good of the San Diego community, opening up personal connections amongst volunteers that are just as important as the work done on the project. Just as volunteering can help you give back to the community around you, it can make positive impacts on your life at a personal level. No matter what position she’s in, Karen Anderson sees volunteering as something which “makes the whole day brighter and [she] ends the day with a smile”. Whether you’re looking to increase leadership experience or give back in a new way, becoming a Team Leader can make your time with HandsOn even more rewarding. New applicants are always welcome and help ensure that the organization can provide the level of care that each project deserves. We are so excited to have Annette Rainey join our team as our Social Media Manager Intern. Annette is a senior in the Television, Film, and New Media major at San Diego State University. In the upcoming fall, she will be attending graduate school to further pursue an education in film. Annette spends her time creating short films, both narrative and documentary. Though her emphasis is in editing, she has experience in several areas of production including directing and writing. Over the past summer, she worked as a blogger for SDSU documenting her experiences on her study abroad through Europe. She has also provided video advertisements for local organizations such as the Wheelchair Dancers Organization and a former city-councilman of Chula Vista. Outside of class, Annette enjoys long boarding, doing special effects make up, and reading. 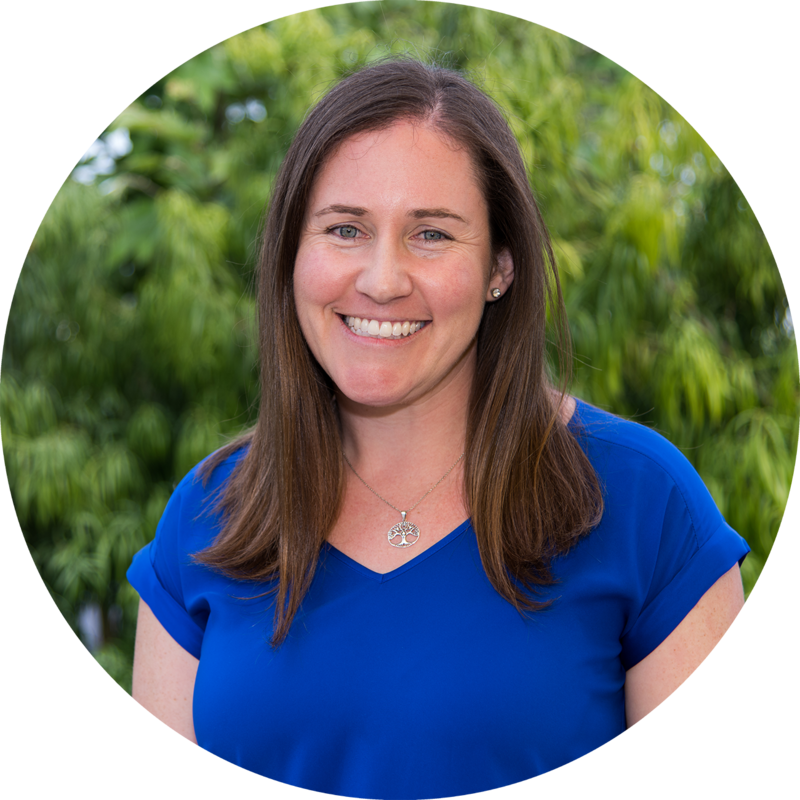 Born and raised in San Diego, Annette looks forward to giving back to her community through her time working with HandsOn San Diego. Meet our Video Production Intern! Join us in welcoming the newest member of our team, Marisa Kriska, our first HandsOn Video Production Intern and up-and-coming filmmaker from the San Diego area. Marisa aims to use her knowledge of filmmaking to help spread awareness about our work and inspire others to do their part to help their community. Her films range from documentary to music videos to the artfully experimental. Her pieces have been shown in a number of exhibitions and granted awards like the curator’s choice award from the Museum of Contemporary Art San Diego. A recent graduate of UCSD’s Visual Arts program, Marisa has a passion for not only film and volunteering, but a love for coffee, film photography, and cats. She enjoys spending her time discovering new places to document on film as well as going out to try a new kind of coffee. Expect to see Marisa at a variety of our projects gathering footage for videos about HandsOn San Diego, individual projects on our calendar, days of service, and more! We’re so excited to see what life she will bring to our site through added visuals of our impact on the community. Check out Marisa’s video portfolio here. Check out our YouTube channel where our new videos will be posted. Greetings from the new AmeriCorps! Hello everyone! My name is Jessie Case and I will be the AmeriCorps Volunteer Infrastructure Project (VIP) Fellow for the 2016-2017 year. I cannot wait to get started promoting community service throughout San Diego County and supporting the volunteers here at HandsOn San Diego. I am a San Diego native and am lucky enough to have most of my extended family nearby. Growing up with parents in the military and law enforcement, I have always viewed service as a necessary aspect of everyday life. In high school I immersed myself in the Interact community service club and have not been able to turn back since. In Interact we cleaned up litter at Lake Murray in La Mesa, picked oranges and lemons for Harvest CROPS, and assisted with fundraisers hosted by the La Mesa Rotary Club for local nonprofits. My time at the University of California, Santa Cruz (UCSC) took my passion for service to new heights through my involvement with the Rotaract Club of Santa Cruz County. While serving as the club’s Co-President for two years, our organization began to participate in service events almost every weekend, sometimes even multiple events each weekend. I accumulated hundreds of service hours and connected with people all over Santa Cruz County while beautifying the Monterey Bay Horsemanship Therapeutic Center facilities, building homes with Habitat for Humanity, staffing games for children at the Omega Nu Ducky Derby, serving as an advocate at the Watsonville Project Homeless Connect, and volunteering with many other amazing organizations. During my last year at UCSC, I served as an adviser and Membership Chair for the Rotaract club and the Director of Membership for Rotaract District 5170, while finishing my degrees in Art (photography) and History of Art and Visual Culture. Even in my photography projects, my passion for the nonprofit sector shows through. In March, I featured my senior show at the Homeless Garden Project (HGP) store where I displayed portraits of their volunteers with excerpts of interviews I conducted asking why they give their time and skills to HGP. In my free time I enjoy taking and editing photos, working toward my third degree black belt in Tang Soo Do (similar to karate), researching my family tree, participating in the Pacific Beach Rotaract Club, and playing with my two dogs. I am looking forward to spending my time training project leaders, working alongside the dedicated volunteers of HandsOn at projects, and making the volunteer experience as enjoyable as possible. HandsOn SD welcomes its first staff member! Hi everyone -my name is Lucy and I am excited to be the new Program and Operations Coordinator! I hope I can help give the volunteers and Team Leaders a smooth, impactful and, above all, fun experience. I grew up in San Diego where late-night Mexican food and spending the day at the beach was the norm. After attending Mesa College, I wanted a change of scenery (but nothing too cold) and there wasn’t much that could compete with Southern California. Transferring to the University of Hawaii seemed like a temporary idea, but I soon fell in love with the “Aloha Spirit” and eventually spent the next eight years on the island learning and growing as a professional. I discovered a love of working for nonprofits and spent a few years in tropical paradise as a Case Manager for Goodwill Industries. I knew working in the nonprofit sector with equally passionate and hardworking people was something I wanted to continue, but when I moved back to San Diego, I found it difficult to find meaningful work in the social sector. After being gone for so long, the city and the people changed so much that I had to start all over in my hometown. I started networking in the nonprofit community and quickly found like-minded, passionate people who also became trusted friends! I also found my niche as the “professional volunteer” who worked in the for-profit sector. I helped friends at their events, signed up for every project or committee that needed a boost, and advocated for every cause I thought was worthwhile (ask me about the bunny burritos!). My most meaningful service was being on the Advisory Board of the Young Nonprofit Professionals Network for four years. I learned about the managing committees and recruiting rockstar volunteers, and the sheer dedication it takes for board service. After all this time, finding my way back into working for a nonprofit has been exhilarating! I can geek out about volunteer engagement, 990 forms and collaborative partnerships and nobody thinks I’m weird. I’m excited to apply what I’ve learned in the small business world into HandsOn and to help it grow in the community. Feel free to contact me anytime you have any questions about HandsOn, the importance of volunteer retention… or if you want to talk about cats. Joan Sadorf has been involved with HandsOn San Diego since 2014, getting involved in a wide array of volunteer projects and opportunities. Over the years she has become a powerhouse of a Team Leader. She leads Dress for Success Sorting and multiple Ibarra Elementary Refugee Tutoring projects. What is your favorite part of being a Team Leader? My favorite part of being a team leader is welcoming someone new to the experience of my projects. They obviously have an interest in helping to be there in the first place but to see them become part of the project is great. Someone emailed me a bit nervous about tutoring children since she had no training. I mentioned that with the refugee kids, it was really more about being in the present with them and showing them a willingness to help that mattered. Talking with her at the end of the evening she asked how she could get the same student next time, then early the next morning she asked how to become a regular volunteer for this project. It made me feel good. What is the most important aspect of volunteering to you? The most important aspect of volunteering for me is the concept of each person being an inter-connected member of this planet. What I mean by that is simply if you are able, you need to help others of the human race. No person is an island, we need others in our life and are needed by others. What would you tell someone who has just started volunteering, or maybe has thought about it but doesn’t know where to begin? If someone is new to volunteering, I would tell them that Hands On San Diego is an excellent place to start. Since this organization partners with others organizations and has one central calendar, it makes volunteering so easy. It also allows a person to “try” on different projects until they find a perfect fit. Once you find that fit it truly becomes a part of who you are and it is not a task but a joy. What inspired you to get involved with HandsOn San Diego, and to stay involved? I have volunteered all my life but it was actually my daughter who signed me up for Hands On. I was involved in organizations surrounding my girls as they grew up, once they left home I had to find a new niche that also fit my work schedule. I loved how I could pick vastly different projects or sign up for just an hour or two at a time. I tried on a few things before being asked to be a team leader and choice specific projects. I love that I had those experiences first and am so happy with my projects. I can see myself staying involved for a long time because of the connections I have made on my 2 projects. Lovely people that I just want to help! Do you have a favorite project you’ve volunteered with? My favorite project is the Refugee Tutoring because I have a soft spot for children. These refugee children did not ask to be put in the situation they have had to face but it found them. Now that they are here in America, I think it is very important to educate them and help make their lives as normal as possible. I noticed last summer while helping with a school supply give away that these kids are so grateful for anything. It was a miserably hot August day and the wait to go through the line was long, an hour at least, but they started playing games in the parking lot and never once complained about the heat or the wait. The smiles when they were given new backpacks with underwear and socks was priceless!! Why did you become a leadership team member? It occurred to me I could expand my business skills by adding to the volunteering I was already doing. I wanted to get more direct experience with social media, so becoming a member of the Marketing and Communications leadership team seemed the perfect way to help HandsOn increase their awareness and grow their volunteer base, while also growing my own skills. I’m kind of an exercise nut and I love taking advantage of our beautiful climate by walking, biking and hiking. I also volunteer with various childhood literacy programs. Would you recommend becoming a volunteer to someone else? Absolutely! No matter what age they are, everyone has something they can contribute. It’s so rewarding to know you’ve done something to help someone else–and everyone will benefit from that feeling. What’s driven you to make volunteering a big part of your life? I’ve been so fortunate in my own life, it only feels right to give some of my time to help those who haven’t been as lucky, or who have unique struggles, and to help make our city a better place. The feeling of satisfaction it gives me is priceless. Choose projects involving something you’re passionate about, as they will probably be the most rewarding and the ones you’ll be eager to spend the most time with. For me that’s childhood literacy, so I work with reading and tutoring programs. The HandsOn online calendar has lots of opportunities in many different areas so you can find one that speaks to you. Even a small amount of your time can make a big difference, so just take that first step and start with one project or event. Having a friend or family member join you may make you feel more comfortable, though I’ve consistently experienced how friendly and welcoming other volunteers are. Volunteering with San Diego Refugee Tutoring has been particularly rewarding. Many of the kids have only recently arrived in the U.S. and are way behind grade level in their English, and often in their math skills too. So receiving extra help can really make a difference in their success in school and in their futures. The students are very eager to assimilate, and are fun to work with.